Hai Chi is a classically trained piano instructor and a professional chamber musician with master’s degree, and a music producer taught by Berklee College of Music. Ms. Chi is a certified Suzuki Piano Teacher, a certified the Royal Conservatory of Music teacher in Piano, a Steinway educational partner, a chair of Ribbon Room from Plano Music Teacher Association affiliated with Texas Music Teacher Association, and Music Teacher National Association, and an instructor for the Royal Conservatory of Music and ABRSM exams, a member of American Guild of Organists—Dallas Chapter and a member of North Texas Suzuki Association. Also, Ms. Chi worked as a church musician for children’s choir in the Stonebriar Community Church in Frisco, TX. Except for being a private piano and voice teacher in Plano, TX, I am also a member of Piano and Voice Faculty in the highly rated Music School in Frisco, TX. Ms. Chi has more than ten year’s experiences teaching all genres of music to any levels of students age 4 and up. She can teach students music both in English and Chinese. Ms. Chi has been instructing students from different cultural backgrounds and countries such as China, United States, India, Japan, Taiwan, Singapore, Malaysia, German, Mexico. 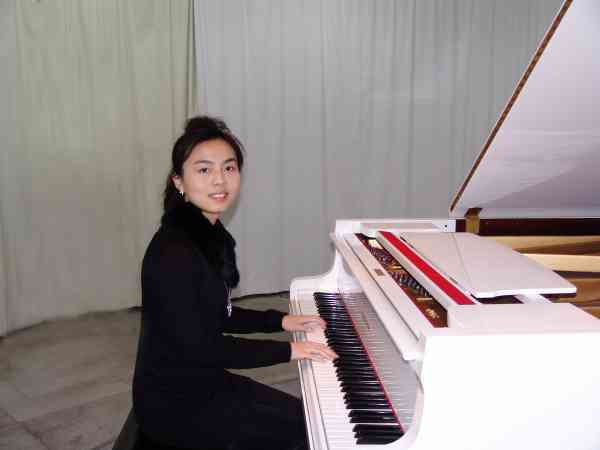 After studying piano lessons with her, an increasing number of Ms. Chi’s students genuinely fall in love with playing piano, and some of her students became professional musicians. In her studio, each student has equal performance opportunities such as annual recitals, several music festivals, music examinations in the USA, and different kinds of competitions. Hai Chi’s piano teaching philosophy highly matches with Suzuki principals. In her piano studio, the process of teaching music is listening, singing, playing, and improvisation respectively which imitates from the development of learning a native language. So, her students can learn piano enjoyable and make progress confidently and gradually.